is the best laptop for gaming. It promises nothing less than a reliable gaming experience. Its performance is solid enough. It can be used extensively for other purposes including media editing, word processing, and entertainment. It has unbeatable features that make it an exceptional Dell gaming laptop. Thanks to its Full HD display, playing games on high settings have been made a norm. It comes with high processing speeds thanks to its Intel Core i7 Skylake processor together with the unique NVIDIA GeForce GTX 960M graphics card. It has gaming stability beyond its predecessors and existing devices in the market. 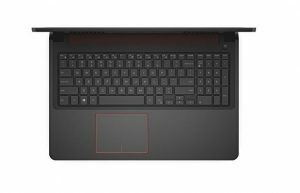 The Dell Inspiron i7559-2512BLK Gaming Laptop is within a low-level budget. Its performance, stability, and budget make it the best video game laptop under 1000. It has been rated as the cream of the gaming laptops under 1000. Dell Inspiron i7559-2512BLK 15.6 Inch FHD Laptop (6th Generation Intel Core i7, 8 GB RAM, 1 TB HDD + 8 GB SSD) NVIDIA GeForce GTX 960M. Gaming on a budget can be daunting for most people. But Dell has worked out things for you. With the new Dell Inspiron i7559-2512BLK, you can be sure to enjoy stable gaming without having to break the bank. It benchmarks on the superior game playing of its predecessor model within the Inspiron 15 series. Its angular design makes this device a little hefty as opposed to its 15-inch size. Its 5.88 pounds weight makes the sturdy device, not the most portable one. However, it is lighter than its predecessors. This model comes with a 6-Generation Intel Quad Core i7-6700HQ, 2.6 GHz processor that can be boosted to 3.5 GHz on the turbo. It has 8GB RAM, which can be upgraded to 16GB, making it the best laptop for gamers. Its NVIDIA GeForce GTX 960M 4GB GDR5 graphics card is second to none. This ensures stability while gaming on high settings. No lags, no jitters. It has a CPU score mark of 8,000 points. This Dell gaming laptop stays cool even after extensive gaming time, making it a lucrative if not the best laptop under 1000. The Dell Inspiron i7559-2512BLK laptop has an unparalleled gaming prowess. Under strenuous testing, the machine has proven its potential. It scored a staggering 13,017 points on the 3DMark Cloud Gate test. These features are a testimonial for smooth gaming experience at Full HD resolutions. With Witcher 3, you can be sure to get 30FPS and a cool 50FPS with GTA5. These are frame rates you hardly find in most budget gaming devices in the market. Its Full HD resolution support with 15.6-inch display ensures the best gaming display for an entreating session. It has an anti-glare coating for healthy usage. Minimal reflections while gaming ensures that your eyes are safe. Being an entry-level budget machine, the Dell Inspiron i7559 remains the best laptops under 1000. Its processor is a powerhouse performer. It guarantees a smooth gaming experience. Thanks to the discrete graphics card, the machine delivers lag-less gaming at high resolution. The exterior is almost all-black plastic, with only the Dell logo in some flourish red, the touchpad trim, and speaker as well as the fan vents. The keyboard deck and top lid are rubberized creating a cool appeal. The keyboard is backlit with white light giving it an exceptional look. It has a sturdy, smooth touchpad. The speakers are designed to produce a decent sound quality, though not as loud at maximum. The input-output ports are made for ease of use. The 2 USB 3.0 ports and headphone jack comes to the left and to the right, there is another 3.0 USB port, Ethernet port, 2-in-1 SD card reader. The machine has a 5,400rpm 1 TB HDD for hybrid storage making it a convenient laptop. Not to forget, the model has a webcam, Bluetooth and WiFi adapters, and no external optical drive. Most of its utilities can be installed from the cloud. The high processing power, graphics card, and screen resolutions together with the RAM make this gaming computer one of its kind in the series. It comes from a pedigree of best gaming laptops under 1000 in the market. It can be used for multiple activities including entertainment without lag. With its power-hungry processor and high-end graphics, the machine drains its power at high speed. From tests, the battery life is around 5hrs 27 minutes. Its weight too is not as lovely. It is thus a machine not best designed for portability. PC Mag named this laptop as one of the best entry-level gaming and video editing laptops. High processing power and graphics card. Can be used for multiple activities including entertainment without lag. Feature a power-hungry processor and high-end graphics, the machine drains its power at high speed. The Dell Inspiron i7559 laptop is packed with a quality gaming experience. Its performance is undoubted. It has features that are close to none in its low-level budget. It has specifications to fight for the same space as most high-end gaming machines. It is made with futuristic technologies and thus the best deal for any budget gamer. Any suggestions on how we can improve this review will be highly welcomed. Comment and share this post widely.